Adorable, 2.25mm wide full diamond eternity ring, set with 0.30cts of grain set round brilliant cut diamonds. 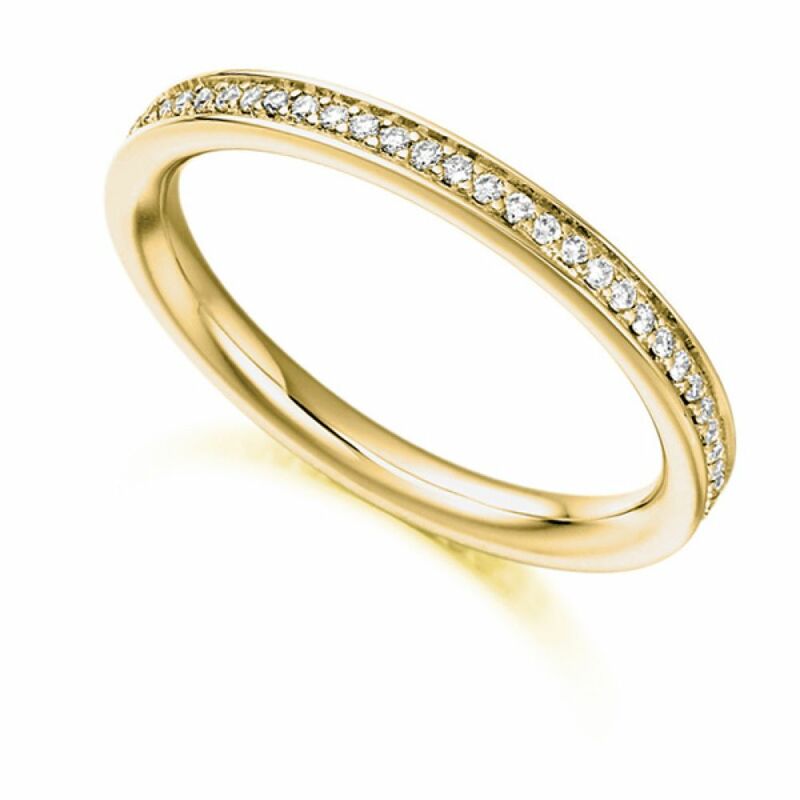 This fully set Diamond Eternity Ring is a truly elegant piece. 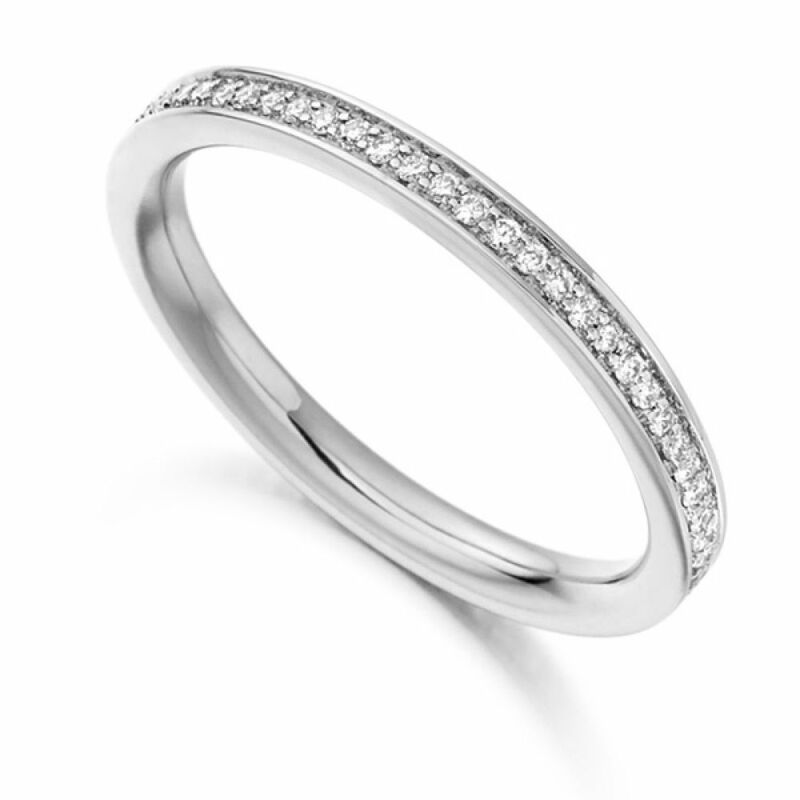 Each individual white Diamond has been precision grain set into this court profile 2.25mm wide band. There is a total of 0.30 Carats in this stunning band each one of those Diamonds has been graded F/G in Colour and VS1 Clarity prior to setting. Will arrive to your door in your choice of precious metal, 18ct White Gold, 18ct Rose Gold, 18ct Yellow Gold, 950 Platinum or 950 Palladium. In a matter of 3-4 weeks, this finished can be at your door in our luxurious packaging.